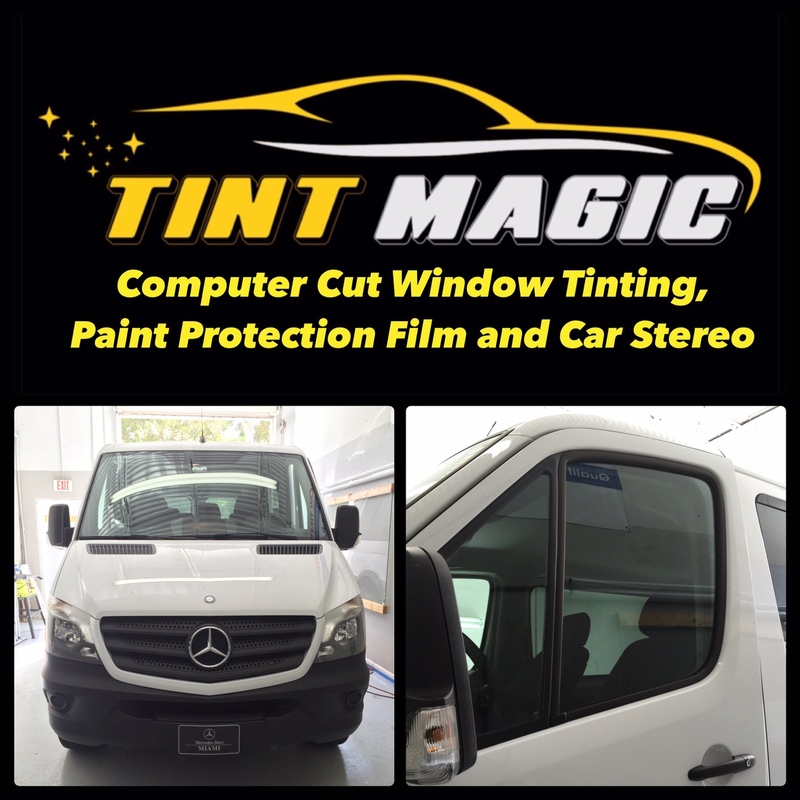 Mercedes Benz Sprinter at Tint Magic Window Tinting. We applied CXP Nano Carbon Film on 70% in 2 front windows for best heat rejection and 99%UV protection. Call us for the best service and quality! (954) 840-7883. With an array of body styles to haul either cargo or people, including seating for up to 12, the Sprinter is a true jack-of-all-trades. Two powertrain options are available—a 161-hp 2.1-liter turbo-diesel and a seven-speed automatic with rear-wheel drive or a 188-hp 3.0-liter turbo-diesel V-6 with a five-speed automatic and rear- or four-wheel drive. The Sprinter also features loads of high-tech safety gear including crosswind stabilization, lane-departure warning, and collision prevention. A push of a button switches the van from a two-wheel-drive hauler into a four-wheel-drive off-roader that just happens to carry a massive volume of stuff. On Sprinters so equipped, a second button press activates low range. In either 4×4 mode, 35 percent of torque is routed to the front axle while the other 65 percent powers the rear. Unlike Mercedes-Benz’s 4MATIC all-wheel drive, the torque split isn’t variable, so it’s best to leave the Sprinter in two-wheel-drive mode on dry pavement unless you enjoy the sounds of binding driveline components.